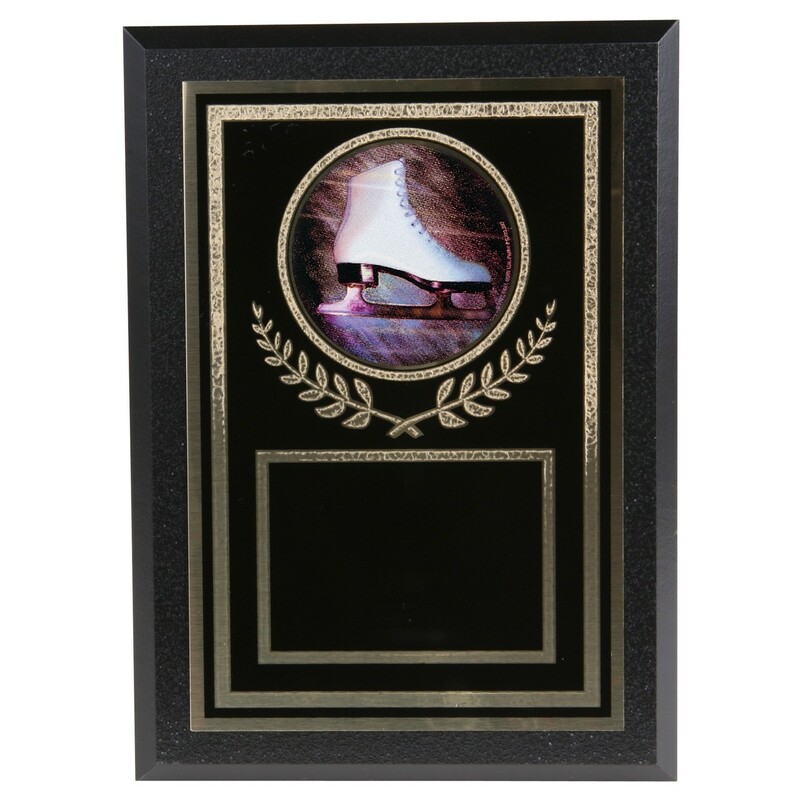 Decorate the shelf or wall of an amazing figure skater with a beautiful award! The Holographic Figure Skating Victory Plaque features several eye-catching details! 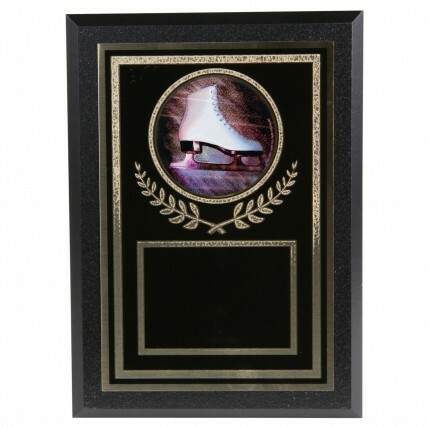 A gold Florentine borders this black brass plate while a holographic mylar shows a white skate. This 5x7 masterpiece comes with free engraving! Choose this simulated wood award for your next recognition event!